There is no shortage of ways to explore the diverse natural beauty that is Greater Palm Springs. Some adventure by jeep, others by hot air balloon, and there are those who prefer horseback or bicycle. Some prefer hiking. Greater Palm Springs offers more than 100 trails to choose from. Step by step using your own two feet, hiking allows you to mix fitness with up-close discoveries of the most beautiful areas of the oasis. The casual, two-mile hike amid Palm Springs’ historic Agua Caliente Band of Cahuilla Indians tribal grounds counts among the most unique in the region. Part of the Indian Canyons’ 60 miles of hiking trails, Andreas Canyon Trail’s adjoining stream gives rise to bountiful vegetation which starkly contrasts the texture of the canyon’s rocky routing. This six-mile (up and back) hike in Palm Springs may be accessed for free via the Rimcrest/Southridge development. For lovers of both iconic architecture and celebrity, the greatest beauty may well prove the trail’s proximity to the legendary, John Lautner-designed Bob and Delores Hope estate. Oh, and for home seekers, let it be known that the “spaceship” structure can be yours . . . for a cool $25 million. 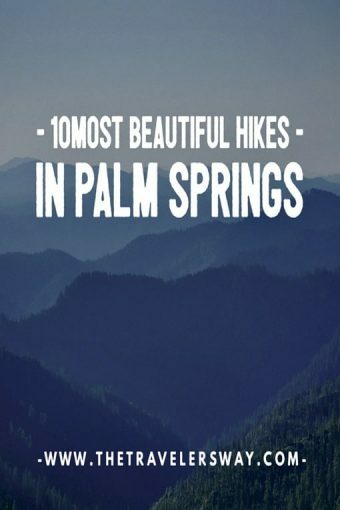 Located off Highway 62 in Morongo Valley, these 31,000 preserved acres are accessed with free admittance and present a host of beatific hiking opportunities ranging from three-tenths of a mile to an 11-mile round-tripper through Big Morongo Canyon. Diverse plant life is abundant, as are more than 240 species of birds. A sweeping array of nature and fitness treks greets guests across the 1,250-square-mile breadth of space, which makes Joshua Tree among the most popular hiking, camping and rock climbing attractions both nationally and internationally. For leisurely hikes, check out the three-mile 49 Palms Oasis hike or the four-mile Lost Horse Mine & Mountain hike, both of which are filed under “Moderately Strenuous” by the National Park Service. 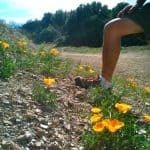 Just six miles from Old Town La Quinta, the 710-acre park at the foothills of the Santa Rosa Mountains offers a great outdoors family day with its easily-accessible hikes, coupled with a host of recreational selections ranging from shore fishing to horseback riding. 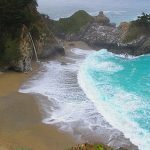 This hike through Indian Canyons offers a slightly more enhanced challenge than Andreas Canyon. 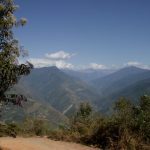 Ranging from two to six miles, the hike ascends higher into the wildlife surrounds of the San Jacintos and reaches the splendor of the Seven Sisters Waterfall. Ascend the 10-minute ride from the Tram’s Valley Station (at 2,600-feet elevation) to the bounty of the Mountain Station (at better than 8,500-feet). Awaiting hikers at Mount San Jacinto State Park are 54 miles of trails, ranging from scenic walks to extreme tests. For a happy balance, explore the 2.5 mile hike to comely Round Valley. 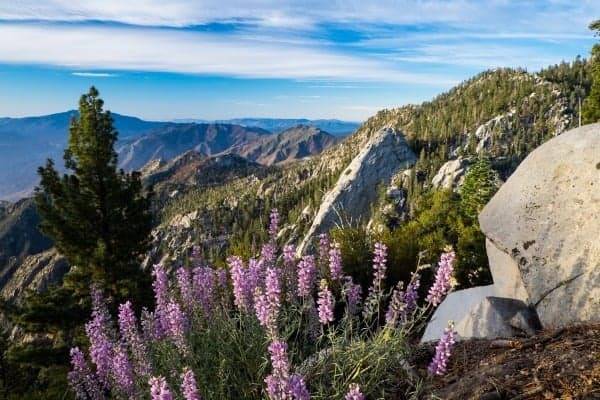 Located behind the Palm Springs Art Museum’s north parking lot, this free, two-mile hike presents a 900-foot elevation gain which culminates in an exceptional, picnic tabled-view of the city and valley below. More than 25 miles of hiking opportunities define the Coachella Valley Preserve that contains the lush Thousand Palms Oasis. Nestled into the north end of Indio Hills, the true and unique palm oasis is nourished by the waters seeping from the San Andreas Fault. For a secluded hike of measured demand, try the 4.5-mile loop of the Willis Palms Trail. Located amid the bosom of the Bureau of Land Management’s San Gorgonio Wilderness Area, these 2,800 acres are part of the Wildlands Conservancy (California’s largest non-profit nature preserve system) and are home to boundless species of endangered birds and protected wildlife. 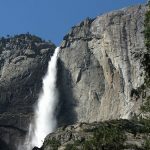 Free programs are offered across the calendar for ongoing, group and special events, ranging from Bird Walks and the Canyon View Loop Hike to stargazing. Pin this information to your relevant Pinterest boards and you’ll always have it handy.